Due to the Easter Monday public holiday kerbside collections will be one day later for the week beginning April 22. ANZAC Day 25 April will be treated as a collection day. The Waikato Data Portal is now live. 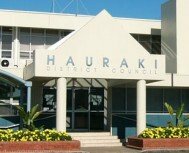 Hauraki District Council is holding an Information Session on the 1st of May 2019. Help us sing the praises of our unsung community heroes. Citizen and Young Achievers Awards. We’re proposing some changes to the rules and regulations in our bylaws. Let us know what you think. Hey, let's start a new conversation – Me kōrero hou tātou. Let us know what you think about the future of the Ngatea Library and Service Centre. of those who lost their lives in Christchurch 15 March. Condolence books and memorial in Hauraki. Watering restrictions in Waihi and Waikino have now been lifted due to the significant drop in water usage. Thanks for using water wisely over the last few months. How satisfied are you with our roads? Rates - How can I pay?